Aardehuis (Earth House) Project Olst, Netherlands. 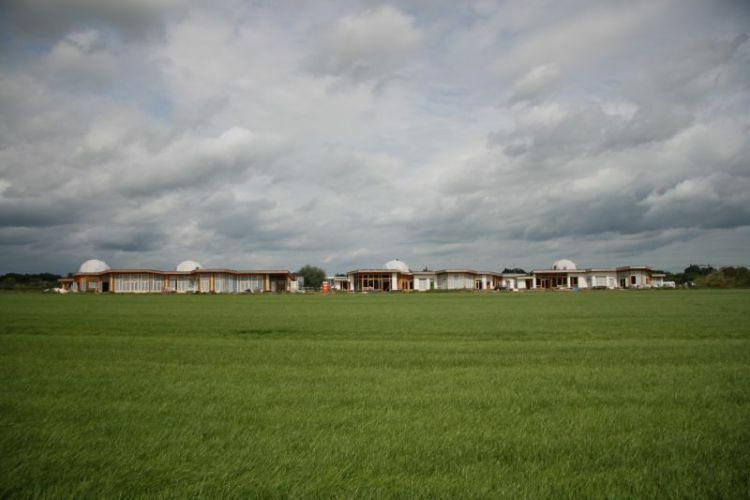 The Aadehuizen Project is a housing development of 23 houses and a Community Building, the first ecovillage project in the Netherlands. 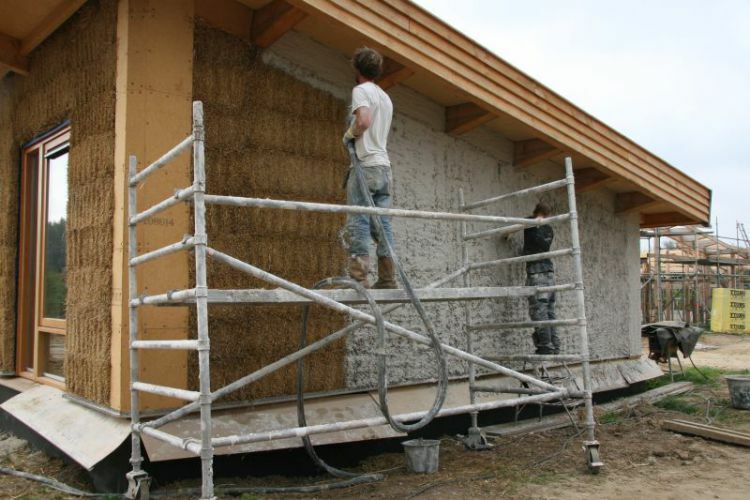 The original idea was for them all to be Earthships (buildings with walls made from tyres packed with rammed earth), but after 12 were built, they switched to straw bale walls, given the labour-intensive nature of Earthship construction. Most of the materials used in the construction were sourced from within 50 kilometres, including reclaimed materials such as tyres and scrap wood, as well as straw, cob and earth plasters. The building work was completed during the summer of 2015. Paul Hendriksen from the group made the video above to celebrate being one of our 21 Stories, as well as sending this Powerpoint set which give more information and images about the project. The Aardehuis Project has operated as TTD’s ‘Sustainable Building & Cohousing Group’. In 2012, thanks to the project Olst has won the regional contest ‘Most sustainable village’. 100% of energy needs met onsite. "It's high time building regulations and building education reflected the urgency for zero carbon building and housing!"